I played the beta for Tom Clancy’s Ghost Recon Phantoms and it was pretty good. It is different than your typical free to play FPS. It has some fun elements, but is limited to only 2 maps to play on, which can get boring. 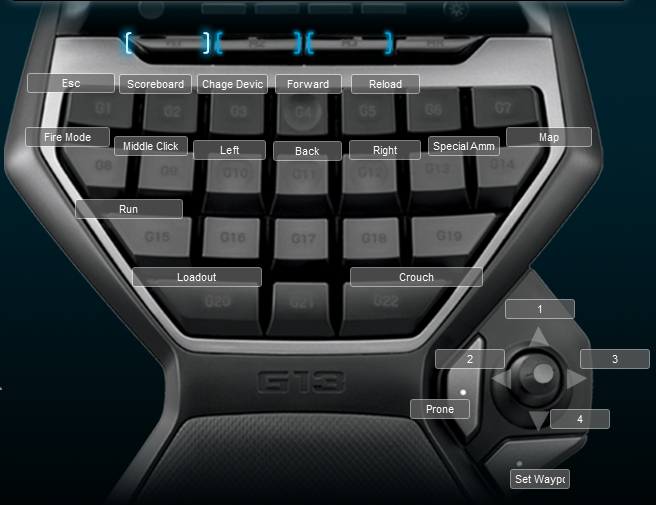 I made a profile for it for the Logitech G13. It is a basic FPS profile with a few special keys and there is no grenade key in the game. Below is a screenshot of the profiles setup.